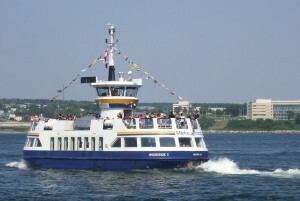 Taking the ferry across Halifax harbour to Dartmouth is a classic way to see the city. At just $2.00 a ride (including a free transfer to any bus) it’s also screaming bargain, offering the perfect view of the world’s second largest harbour and the Halifax skyline. With a history dating back over 250 years, the boat ride is North America’s longest running salt-water passenger ferry service. At the Halifax terminal, you may notice 2 routes to Dartmouth. Take the more frequent one to Alderney (there’s not much to see at Woodside). The journey takes 12 minutes and boats leave from early in the morning to late at night, every 15-30 minutes. On the Dartmouth side, a visitor centre in Alderney Landing, next to the ferry terminal, has free walking guides to the area. There’s a peace monument to see nearby as well as shops, restaurants and a library with free internet access. On Saturday mornings, there’s a farmer’s market. It’s enough to entertain you for an hour or so before making the return journey.